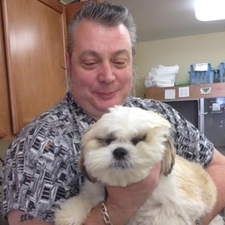 Dr. Haims in the founder and director of Baldwin Place Animal Hospital. He is a graduate from Mississippi State College of Veterinary Medicine. He then completed a small animal medicine and surgery internship at the prestigious Animal Medical Center in New York City. 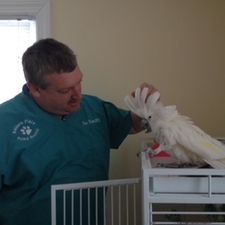 Dr. Haims gained experience by working with various small animal and exotic hospitals. In the past he has worked of emergency and referral hospitals that cover New York and Connecticut regions. Dr. Haims is a Federally and State Accredited Veterinarian, Therefore, he is certified to perform health certificates for international travel. Dr. Haims is also credentialed and certified in Stem Cell Therapy. He is married to Carol, who is a teacher in the Ossining School District, they have 2 children, 2 dogs, a Cockatoo, and an Amazon Parrot. Dr. Haims enjoys spending time with his family and pets, baseball, and is a Scout Master of Troop 164 in Yorktown. 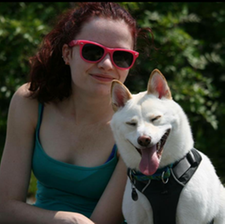 Ralph is a licensed Veterinary Technician, and certified in veterinary dentistry. He has more than 30 years of experience in the profession, and loves every minute of it. His intention was to be an Entomologist, but his guidance counselor in High School said "Do you think you are going to find a woman who is going to love you for bugs?" So he chose the Veterinary field. That was 1975, the rest is history. 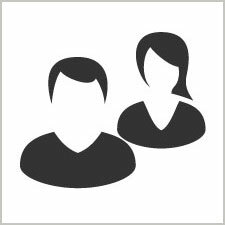 He has experience in both general and emergency practice. His love for pets commensurates his tenure in this profession. Hobbies are: Model Railroading and catching the elusive "Monster Brown Trout" in the nearby reservoirs. 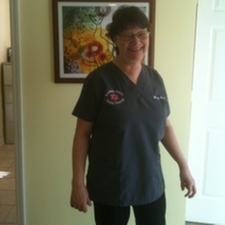 Licensed Veterinary Technician with over 35 years experience. Hobbies include model railroading and fishing in the vast local waterfronts. Kristina joined the Baldwin Animal Hospital Team in February 2010. All of her life she enjoyed being around animals. She has worked with dogs, cats and horses. She is currently attending school to become a Licensed Veterinary Technician. At home, Kristina has three cats, Cletus, Basil and Mahoney. Two dogs, Willow and Maggie and a precious Guinea Pig named Kevin. Krstina has her Bachelors degree in Psychology from Suny New Paltz. In her spare time she enjoys riding her bike and hiking. Enjoys keeping herself physically fit, and can be found at the gym working on her cardio or taking a Zumba class. Hobbies: Reading, watching Ice Hockey and Football in the comfort of her home, go Islanders and Giants! 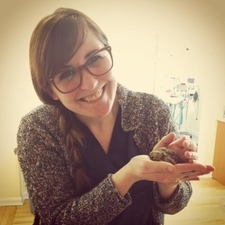 Nicole started at Baldwin Place Animal Hospital as a Mahopac High School WISE intern. Her love for animals started at a young age and peaked her interest in the Veterinary field. Nicole graduated Binghamton University with her Bachelors degree in Biology. She is currently attending Vet School. When Nicole is home she has a Roborovski Hamster named Padfoot and two adorable orange cats named Sherbert and Mac. Nicole has been working with animals since she was 14 years old. Hobbies include, softball, playing violin and traveling. Laura graduated from Carmel High School and attended Mount Saint Mary College as as an English Major. 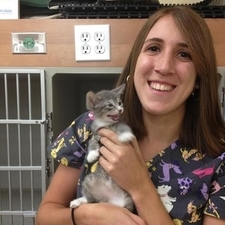 She joined the Baldwin Place Animal Hospital Team in 2016. She lives at home with her Australian Cattle Dog mix, Piper. 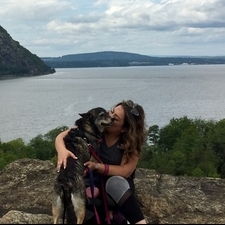 Laura enjoys hiking with her dog. Enjoys hiking with Piper. She likes cooking, interior design, and hanging out with friends. Jackie graduated from Somers High School and attended Savannah College of Arts and Design in Georgia. She joined the Baldwin Place Animal Hospital Team in 2017. She worked as a groomer. She lives with her dog Blitz, and two cats Dusty and Maxwell. Enjoys hiking, swimming and hanging out with her pets and friends.